You know that really large lawn area you have? Lose some of it! 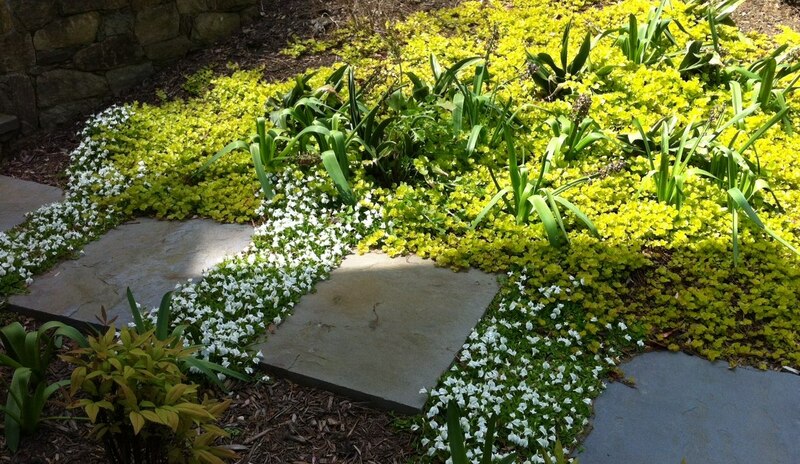 One alternative is to add garden interest with flagstone stepping stones and a plant vignette for color and texture. Above is a small portion of one of my projects; creeping Jenny with Japanese Rhodeq and white Mazas between stepping stones. A bonus is the 100’s of gallons of water and dollars you’ll save by not watering a larger grass area.